Transforming a complex manifesto on the future of design entrepreneurship into an intuitive digital experience and a beautiful printed book. One of Silicon Valley’s biggest venture capital firms, Foundation Capital has been inspiring and funding entrepreneurship for two decades. One of their founders had written a powerful manifesto centred on the emerging role of the “designer founders” in companies — natural designers who have gradually equipped themselves with business acumen. They turned to Human After All in order to fully realise the potential of this ambitious project. Our task was to craft a distinctive, creative approach to this manifesto that could be rolled out across different channels. I worked with illustrator Christopher DeLorenzo to bring the book’s varied concepts to life, and to unite them with a lively, coherent visual language. 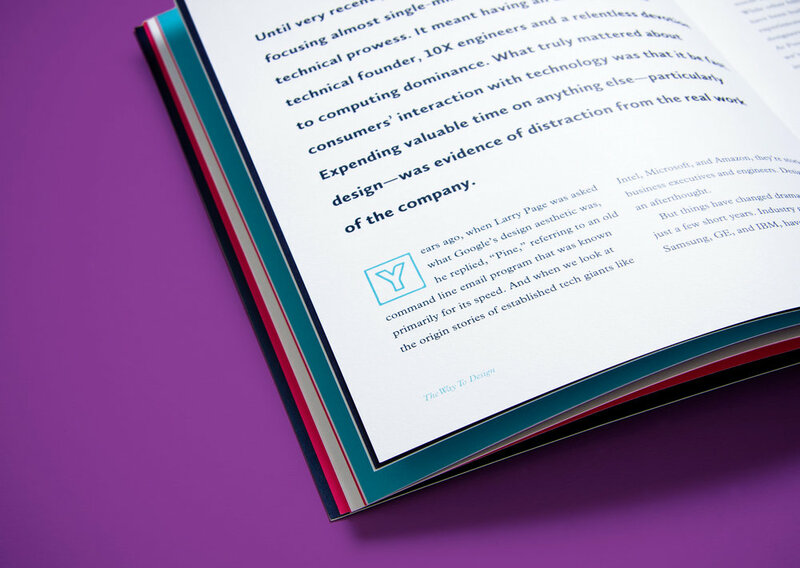 The book featured expressive full page pull quotes, bold titles using a bespoke typeface and a number of other creative nuances to surprise and delight readers, all the time drawing back to reflect on the books theme: the marriage between organic creativity and business acumen, and the amazing benefits resulting from this union. 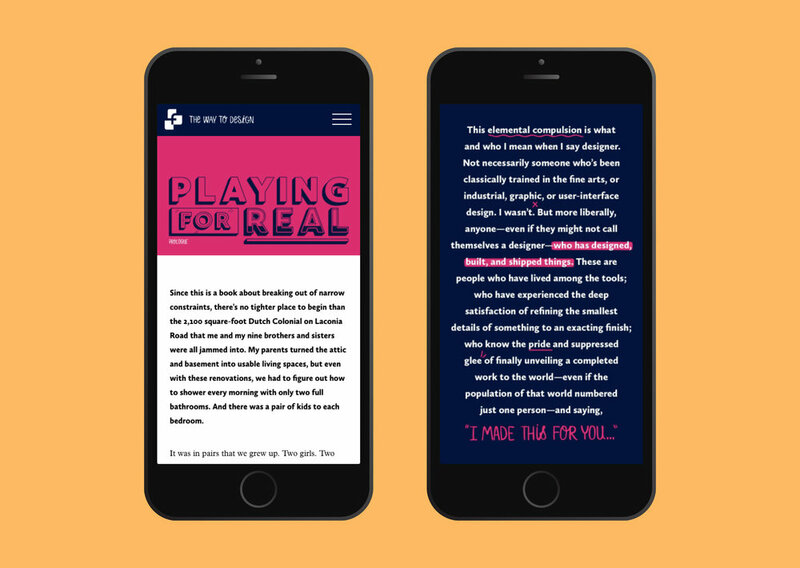 On the digital side, an intuitive UX and wireframes were created for the “Way to Design” website, which ensured that all the content of the printed book could transfer across seamlessly to form a unique, digital experience. 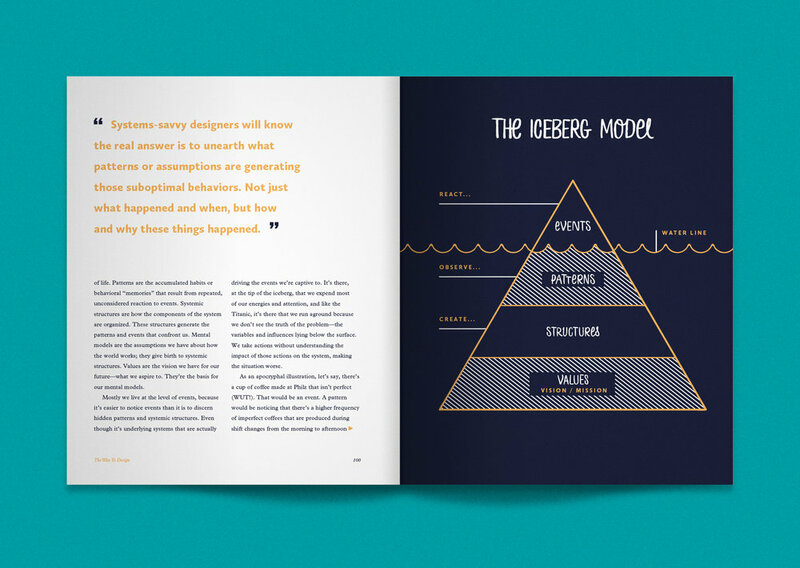 In collaboration with a development agency in New York and Foundation Capital HQ in San Francisco, we worked to wireframe and design a lean, digital platform that would allow people to access the content of the book online. 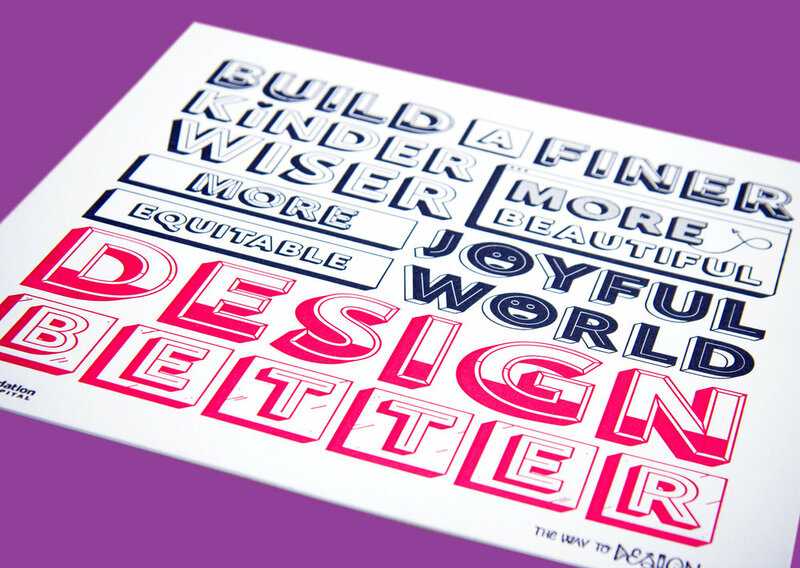 In its first month, The Way to Design attracted over 30,000 readers and 5,000 downloads. 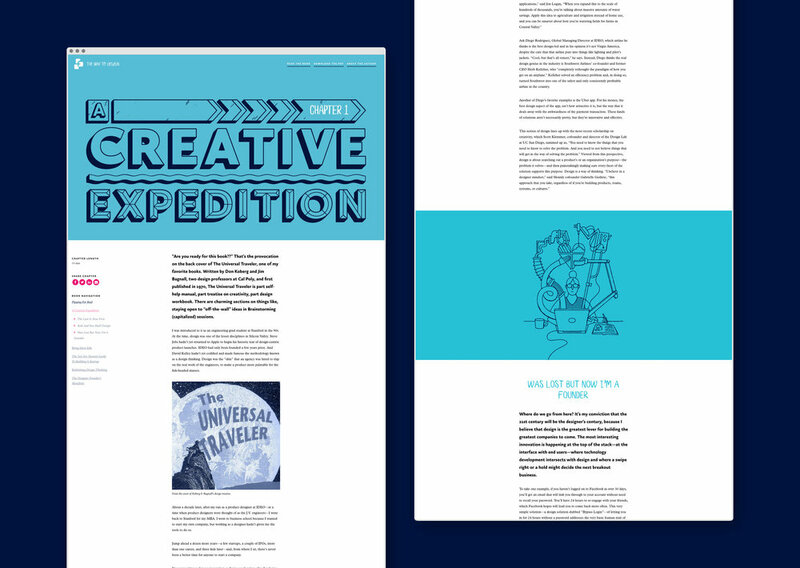 It’s since been featured in Creative Boom and Design Week. You can read ‘The Way to Design’ here.